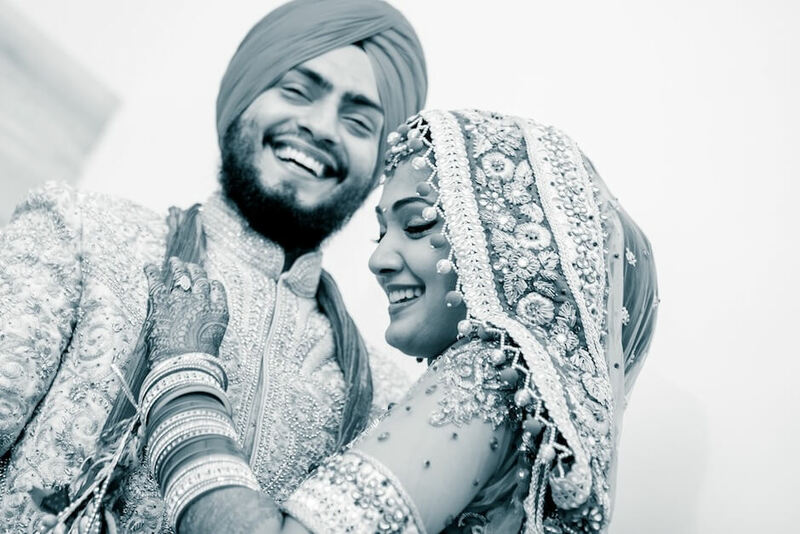 ShaadiGraPher is one of the leading Candid Sikh wedding photographers in India – Story by Ankit. One late night I flew down from Delhi. The Mumbai airport looked so familiar. 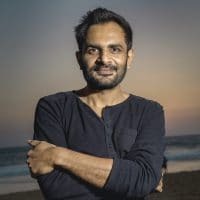 Sitting in the cab, cruising along the western express highway, it all felt like home (have spent close to three years in Mumbai before I shifted to Delhi). I was to shoot a full day wedding the next day. 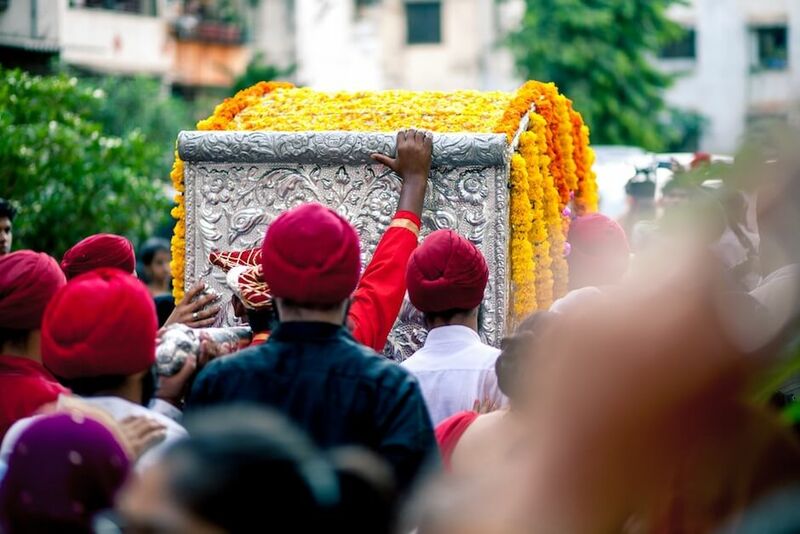 The wedding was in a Navi Mumbai Gurudwara, starting early morning. I hardly slept that night. 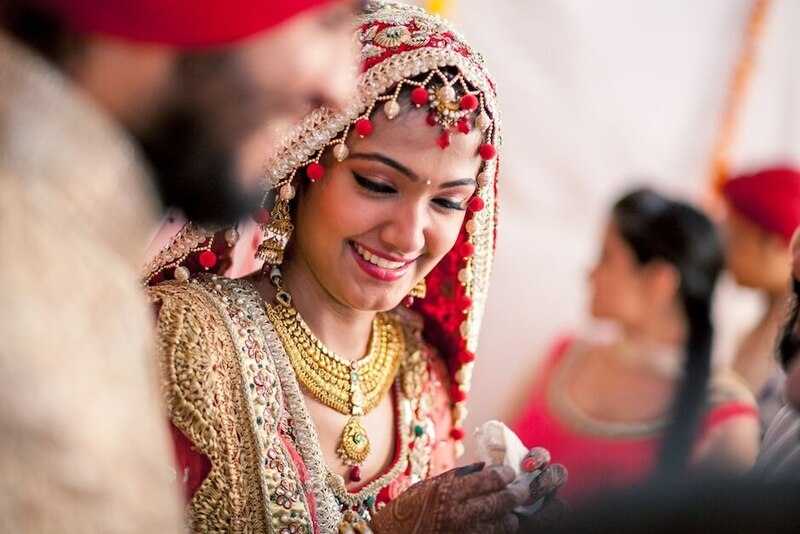 I have shot quite a few weddings from Gwalior to Chennai to Dehradun. 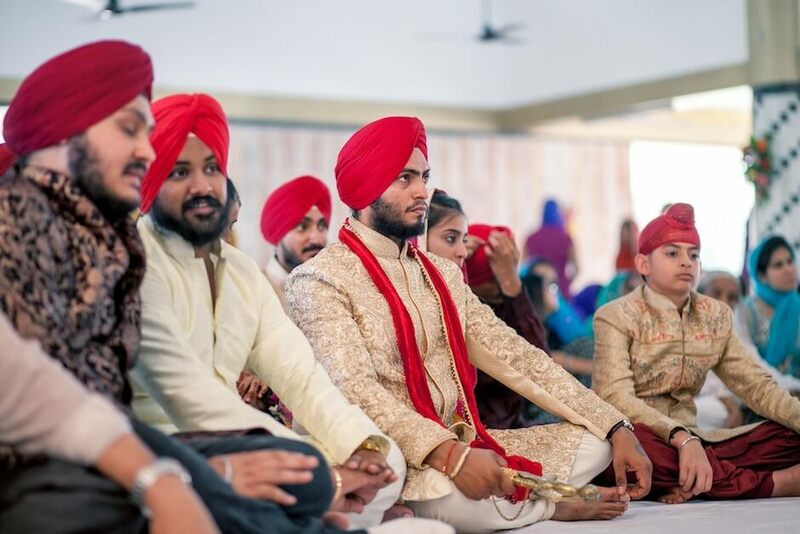 But this was going to be my first sikh wedding and I was looking forward to it. I reached the bride’s house in the morning. The house was full of guests, waiting in turn to get ready and helping each other tying pagdis. It seemed like a total chaos initially. But I got a hang of it no time. 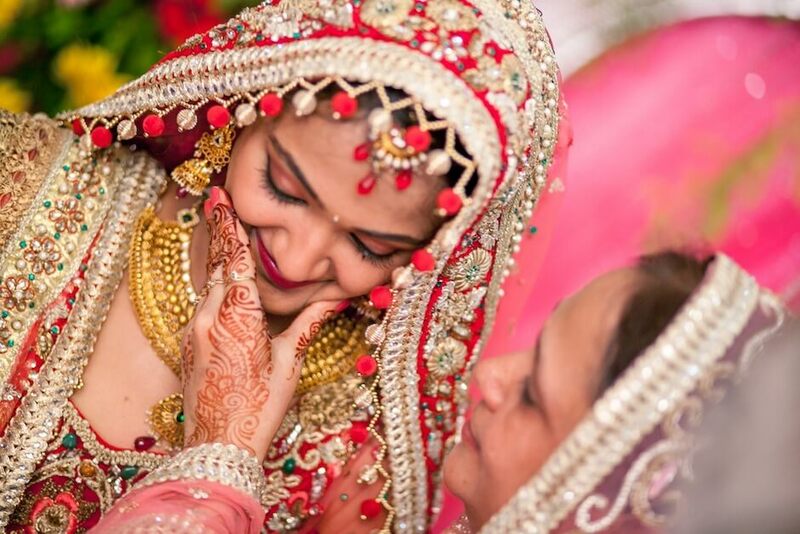 And then I spotted the bride – just a glimpse of her. Jasleen. 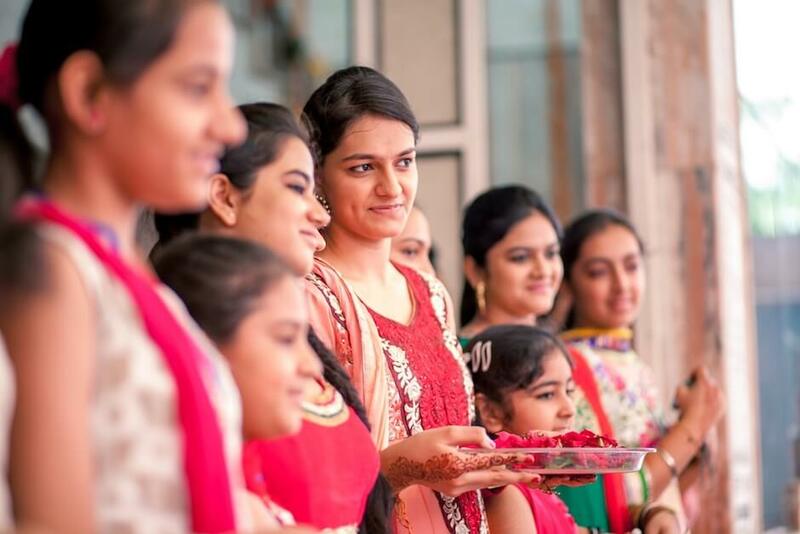 The Haldi ceremony was going on in one small corner of the house and there were people surrounding Jasleen from all sides. It was a struggle to see her properly, leave alone take her pictures. But then, who said wedding photography is without its challenges? :) I struggled and I succeeded. I soon had access to a clear view of hers. She looked so beautiful. Even without make-up. Even with haldi all over her. 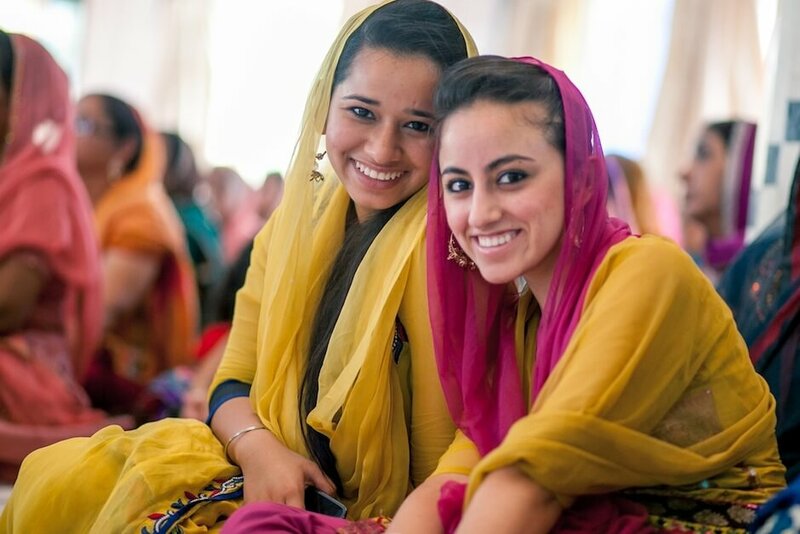 There is something charismatic about Sikh women, don’t you think so? Something you can’t explain in words. I clicked few photographs. And then I realized that the challenge was not only limited to getting a clear view of hers. There also was not much light there. Whatever little sunlight could have come through a window, was mostly blocked because of so many people. Hmm. And then came the makeup guy. Surender, Jasleen’s uncle (who had booked us for the shoot) was very eager to get the ‘bride getting ready shots’ captured. But guess what, the make-up artist (who had a full team) refused any extra person inside the room, citing shortage of space as the reason. We tried convincing him otherwise, but well, it didn’t work. So we gave up and just waited outside. Afterall it was more important that Jasleen looked great in her make-up than whether she got her pictures clicked or not. 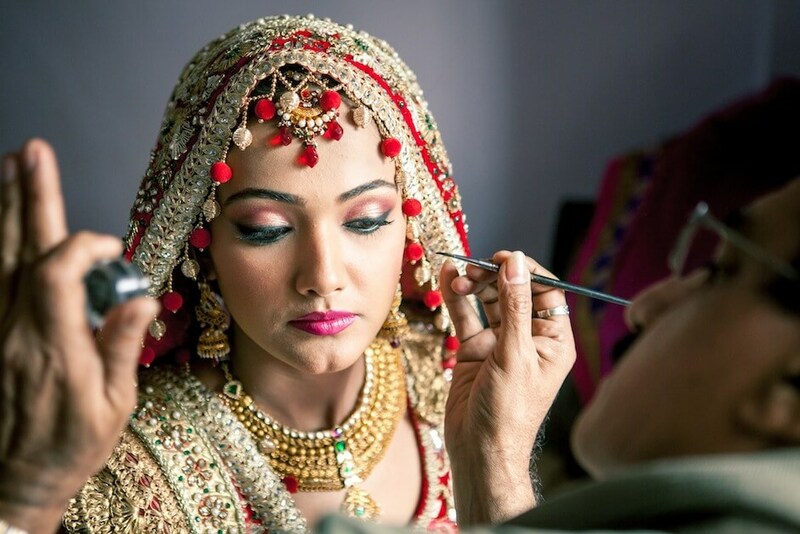 Thankfully, somehow, during the final touch-up, I did manage to click few photographs of her getting ready. Yay! (pat on my back :P). 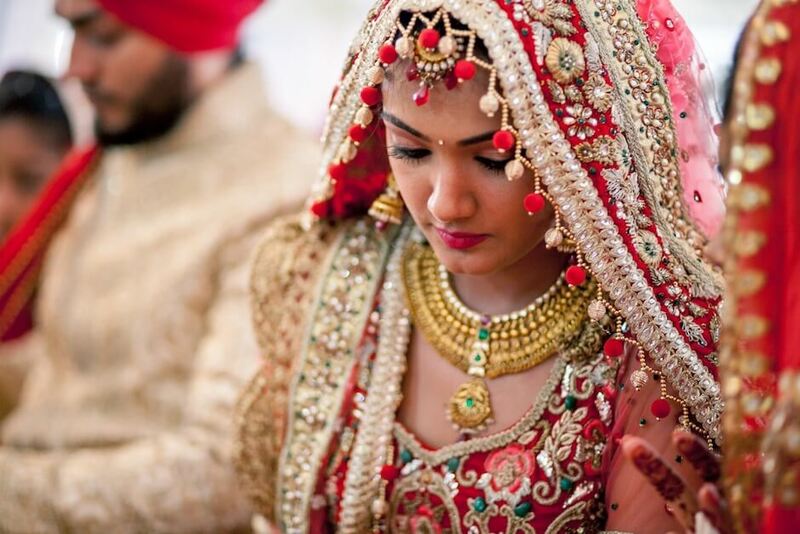 And if she looked beautiful without makeup, she simply looked stunning once she was ready as a bride. The picture below will convince you! And then we move to the peaceful Gurudwara. And I realized that beyond a point, one can’t shoot much inside a Gurudwara. Afterall, everyone just sits quietly and listens to the priest. 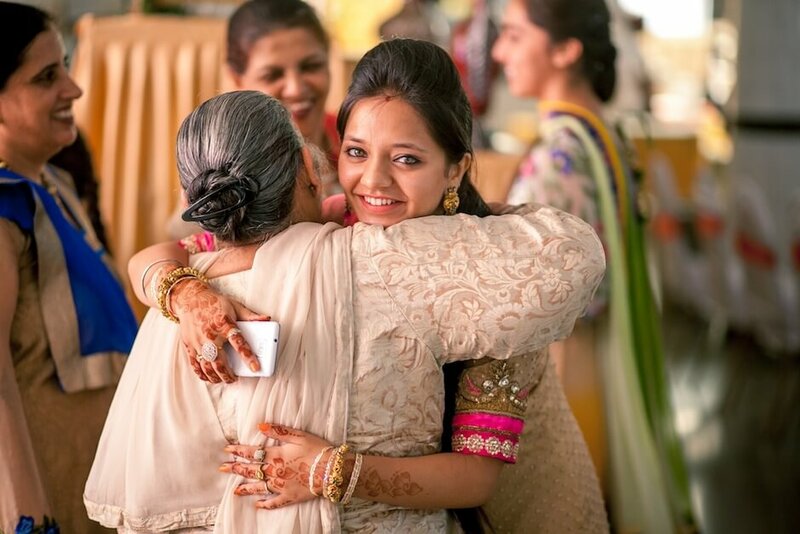 Thankfully, after the wedding, I could shoot some candid non-serious moments. And then was the vidai time. And what an emotional vidai it was. 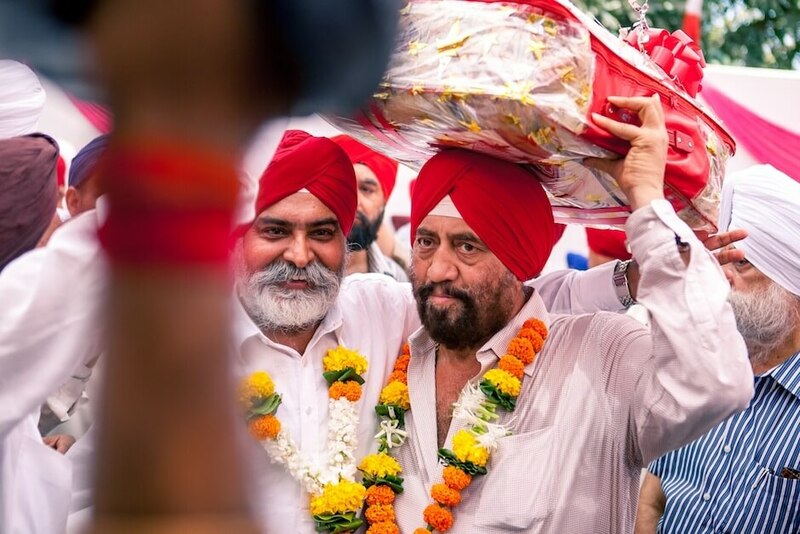 For the first time, I saw Sardarji’s crying. 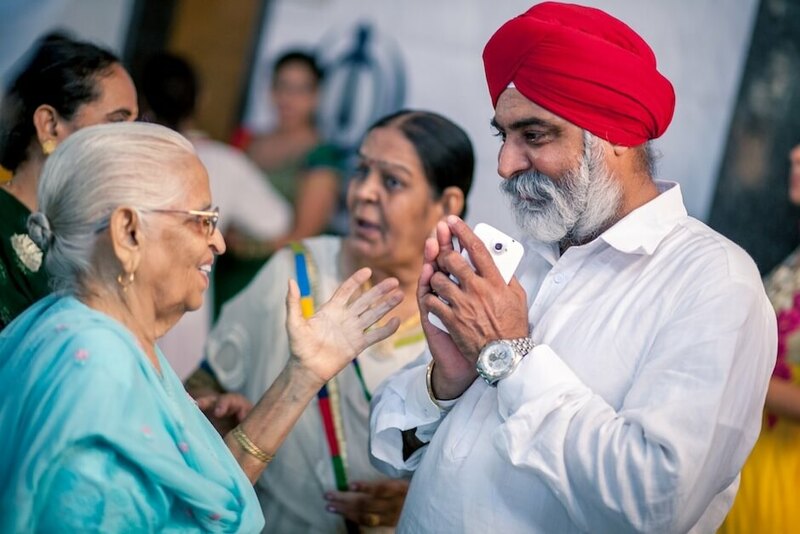 I have studied in Delhi and have had few Sikh friends myself. And so far, I had only seen them having fun, laughing and just plain happy and jovial all the time. That’s how Punjabis are in general, aren’t they? So well, it was quite touching to see this emotional side of theirs. And this showed how much Jasleen’s family loves her and how much they are going to miss her not being around in their house anymore. And this is what will make this day’s pictures special. 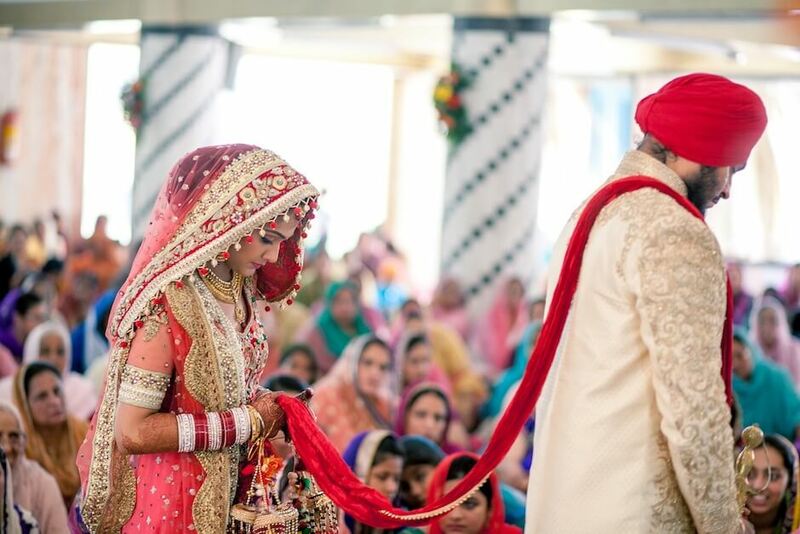 Not just for the couple but for their family – to cherish the memories forever. Hope you liked the few pictures I could share here. 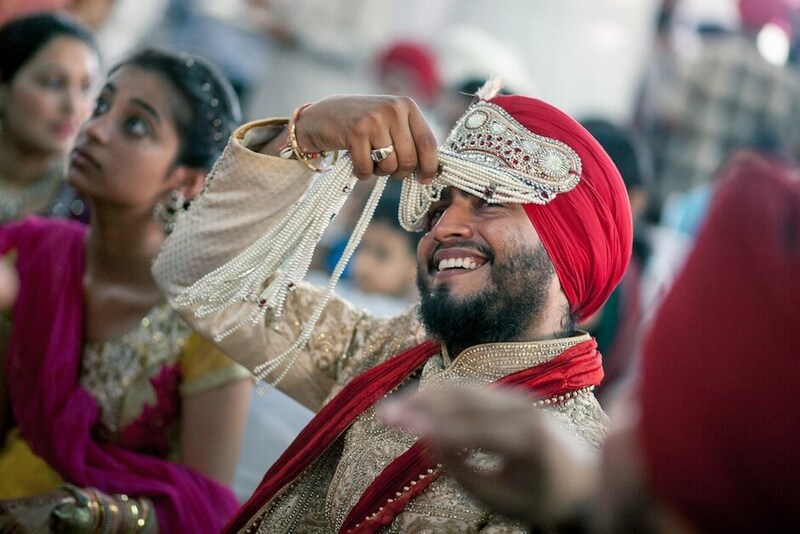 Now if you think about it, there is no such category as “Candid Sikh wedding photographers”. 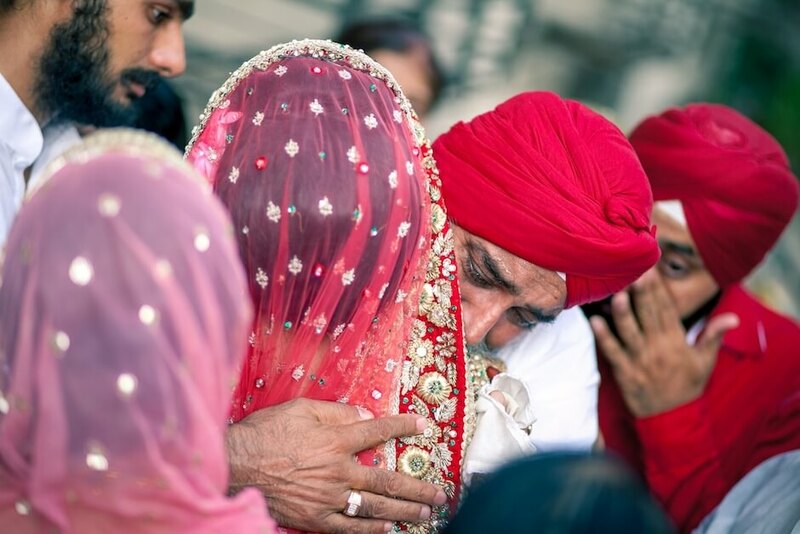 Sikh weddings sure have their own customs and ritual but from a candid photographer’s perspective it is not so much about the customs and rituals but more about the emotions, feelings and colours. 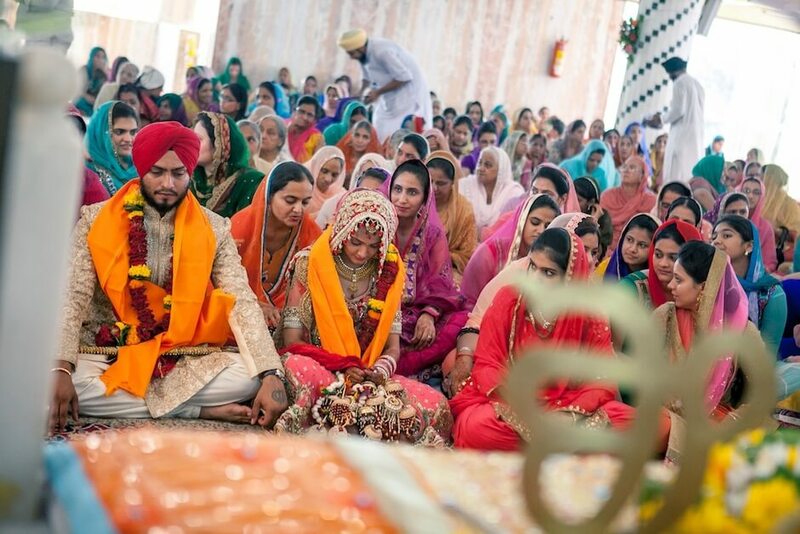 It could be a Sikh wedding in Gurdwara or a Hindu wedding in a temple. 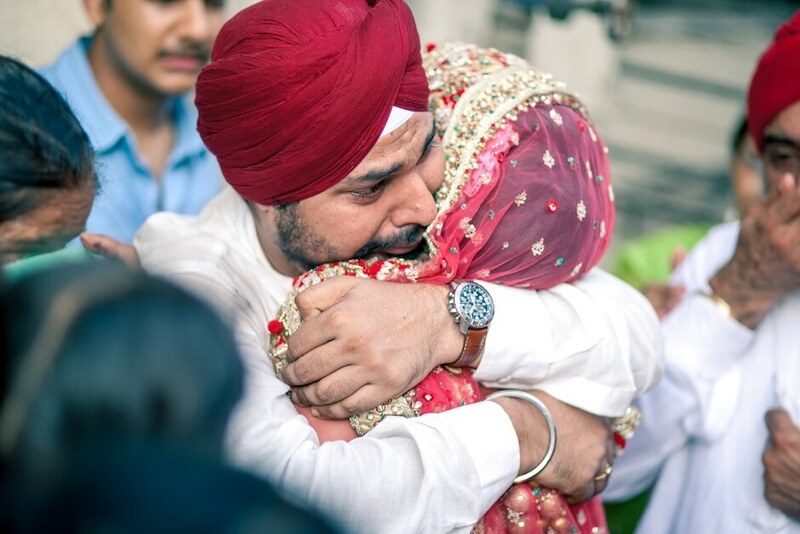 At the end of the day, what matter’s most is the candid photographers ability to spot moments at the right time, click the pictures from stunning angles and make sure every picture when finally seen by the couples, their families and everyone else, has a visually appealing story to tell. Just like the pictures in this post. 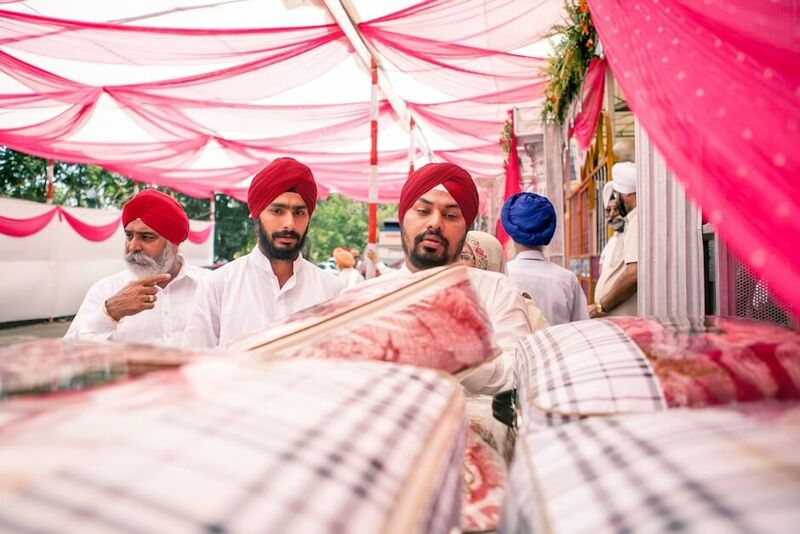 So when then we have referred to ourselves as candid sikh wedding photographers in this post? Well, this has more to do with what we think people would type on Google when they are trying to find a good wedding photographer for their wedding. 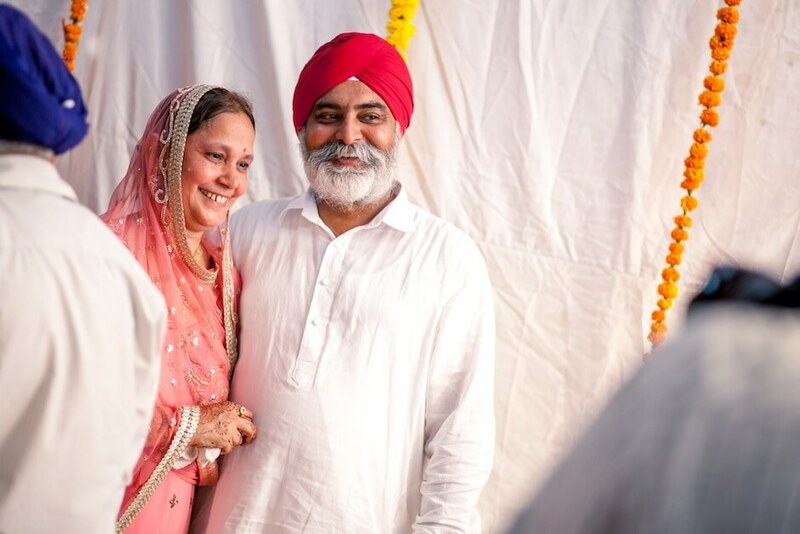 Now, not everyone is going to be particular about finding only those candid photographers who shoot Sikh weddings, but I am sure there would be many, who actually would. 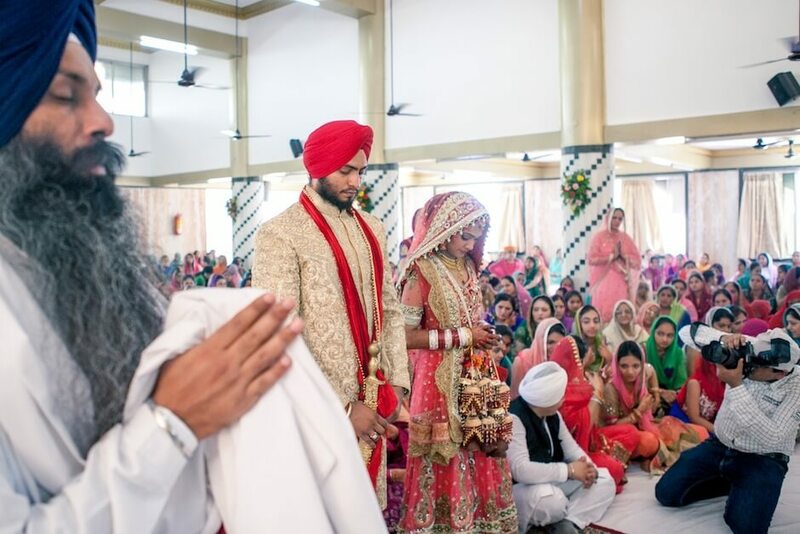 And that explains the usage of candid sikh wedding photographers. 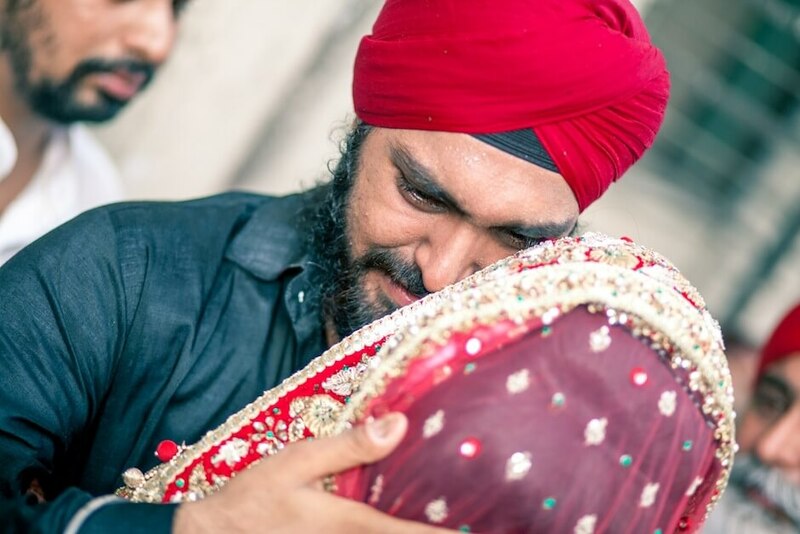 See another sikh wedding story related to Candid Sikh wedding photographers here!